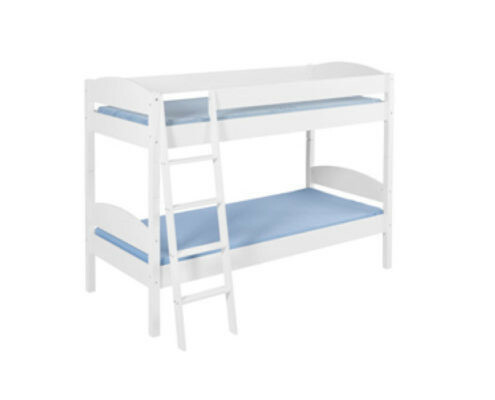 The high-quality and stable bunk bed in white or nature is a true transformation artist. The bed can be converted to two single beds with just a few handles. Thus the bunk bed is still an absolute eye-catcher in a teenager bedroom. The bunk bed is made of solid pine wood and complies with the DIN STANDARD EN 747 for high- and bunk beds. 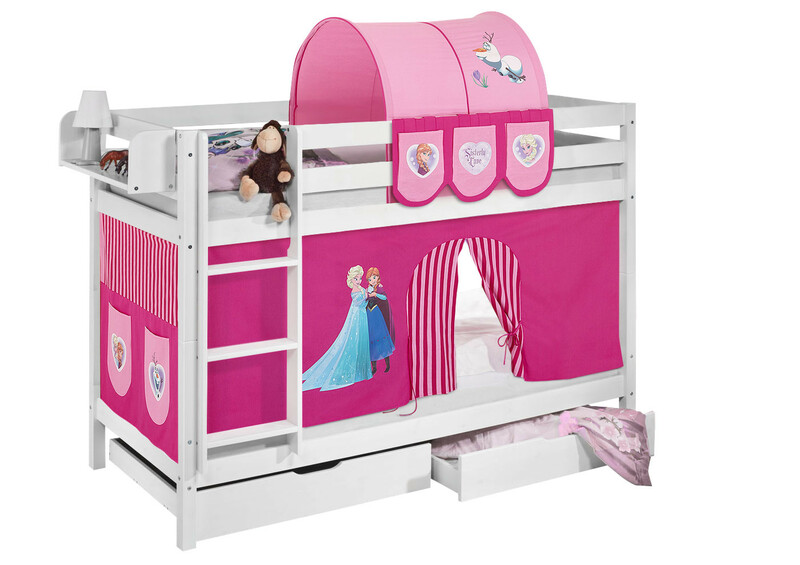 The childrens bed is environmentally friendly and 100% solvent free. Please be aware, that our accessories like drawer set, bookshelf, mattress, tunnel and pockets are not included. You can tick the options boxes above or find them under "beds & accessories". Disney textile accessories by Klaus Herding GmbH.